Someone is having a birthday this week!!! 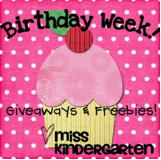 It's Miss Kindergarten's birthday week! 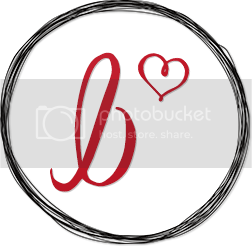 You don't want to miss out on the FABULOUS birthday giveaway she's hosting on her blog. Click below so you can enter. And what would a birthday be without presents!!! 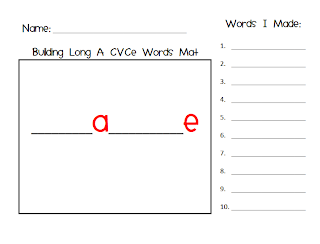 So in honor of Miss Kindergarten's Birthday, I'm giving all of you my Long A CVCe Unit. My students need a lot of practice with phonic rules in isolation. While the gen ed students learn all of the Long A vowel patterns at once, my kids need to practice with the rules one at a time. So I created this unit to help. 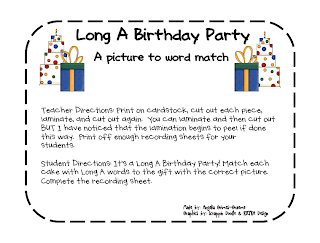 You will find a game, making words activity, word to picture sort, decodable passage that focuses on Long A CVCe words, and an assessment. I hope some of you can find this useful. And please let me know if you would be interested in more units like this. 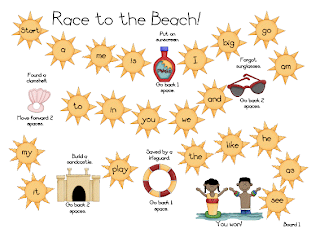 I have plans to do other phonic rules this summer if others could use them, also. 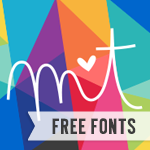 Click on the pictures to get your FREE copy! 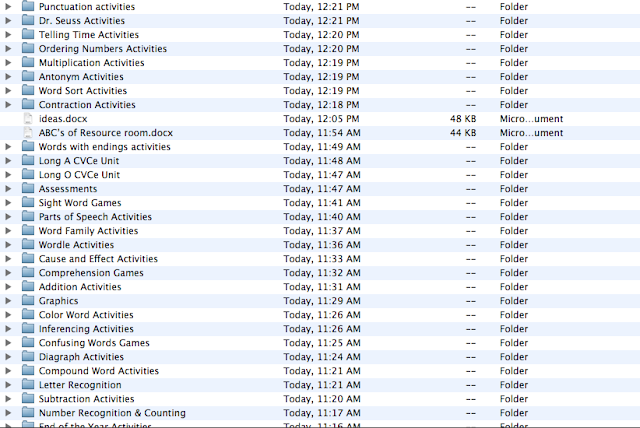 One of my goals this summer was to somehow get control of the TONS and TONS of stuff I have downloaded from blogs. I have gone crazy downloading things to the point that I'm not even sure what I have anymore! Oh my, it's bad. 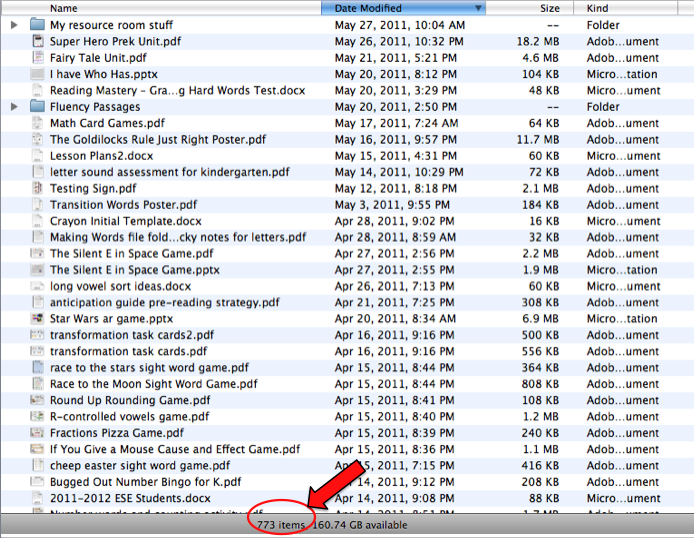 Does your document folder look like this? I have 773 items in my document folder that are not organized. 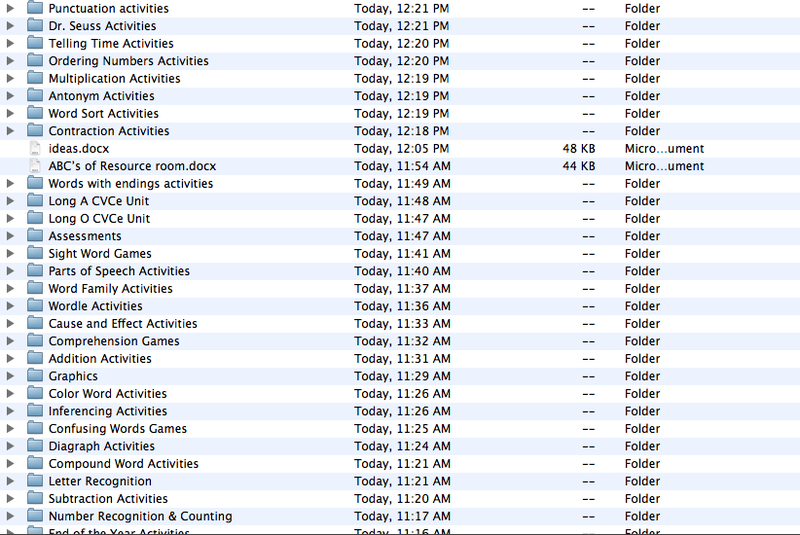 The sad thing is that I have attempted to organize so I still have tons of other things in folders. I'm sure I have thousands of files on this computer that I haven't seen in forever (like all that horrible grad school work....can I delete that yet?). Today I decided that since it's storming and raining I was going to TACKLE this problem. So I started making folders and moving files into folders. Right now, I have this going on. I'm not sure if this is much better. I'll be here all day organizing these files. I need help!!! So I'm hosting my first Linky Party (I hope I did it correctly). 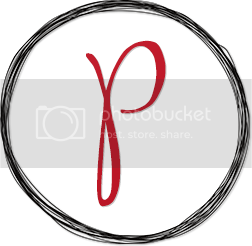 Join up and give me some help on how you organize your files. 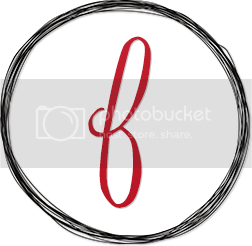 I have been a very bad blogger and neglected my blog and great followers recently. While neglecting you guys, I have spent the last 2 weeks enjoying every bit of summer. This is the first summer in several years that I haven't been moving, remodeling a house, living away from my husband, doing grad school work, or looking for a job. So please forgive me for not being on here. Instead, I have been spending my days enjoying my family, going to the beach, swimming at the pool, going to the water park, and reading. It has truly been FABULOUS! This summer has been off to a great start and I'm loving every second of it. I did decide today (since it's rainy and my beach day is cancelled) that I should be somewhat productive. 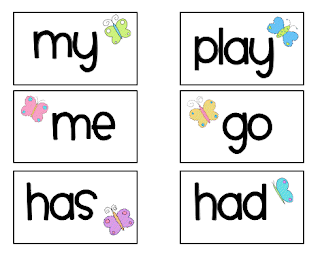 I made this cute sight word game to use with my students. These are the words that our gen ed 2nd grade students are supposed to learn through the Imagine It! reading series. However, I think the words are appropriate for several grades. 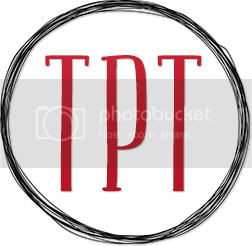 Click on the picture to download your copy! I hope everyone else is enjoying the summer! 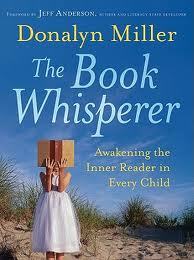 I'm super excited about The Book Whisperer Read Along that's being hosted by Mrs. Lyons at Thinking of Teaching. I'll be hosting Chapter 2 from July 1st to July 4th. If you haven't read the book yet, you should stop by your local books store and pick it up. If you have a Nook, you can also download it for a little over $14. That's how I got mine. Or I'd be happy to lend it to someone (I think I can do that right?). I just finished the book yesterday, and I really enjoyed it. A lot of what the author mentions goes along with how I feel reading "should" be taught. It's how I want to teach reading. However, I don't feel like did a very good job this year. I'm glad this Read Along is giving me the opportunity to reevaluate some things and decide what I want to do differently next school year. I can't wait to read about everyone else's opinions and thoughts. Do any of your students have trouble reading words like hopped and hoped? It's so tricky for my kids to know whether the words patted and shaded should be pronounced with a Short A or Long A sound. Although I pointed out many times that the double consonant means the word has a short vowel sound, it's still tough for them. 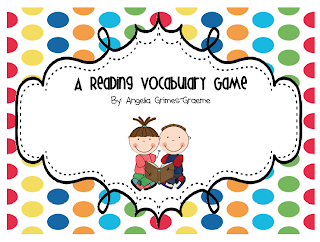 So to help them out, I made a game where they could practice reading these types of words and a sorting activity where they have to decide if the word has a short or long vowel sound. Click on the picture to purchase your own game. I'll probably make another one of these games with the -ing ending sometime this summer. Little Miss Kindergarten is hosting a Linky Party about all of our favorite things. Who can resist talking about what we love the most? 1. 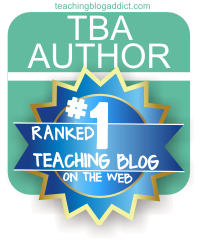 Blogging! I'm obviously an addict. 2. 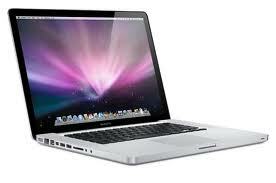 My Mac.......I spend wayyyyyyy too much time with this thing. My husband always laughs at me, because if we go on a trip, I make sure the Mac goes with me. I always tell him that it's just in case the house got broken into I wouldn't want them to take my laptop. 3. 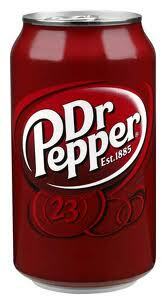 Dr. Pepper......My number one choice of drink. 4. 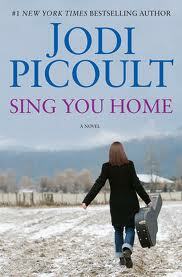 Jodi Piccoult Books........She is by far my favorite author of all time. I LOVE, LOVE, LOVE her books. If you haven't read her stuff, you should. 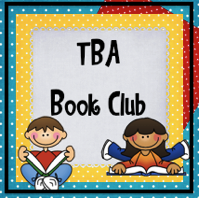 If you need a recommendation of which book to start first, I'll be happy to give you some! 5. My Iphone......It's with me at all times. 6. 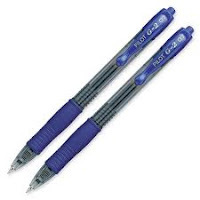 Blue pens.......and not just any blue pen, specifically G2 Pilot blue pens. I spent 10 years as a Marine where you are required to ONLY write in black ink. So after I got out, I rebelled and now only write in blue ink. 7. 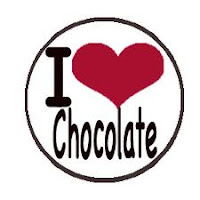 Chocolate......I LOVE chocolate, especially Reese's cups, KitKat, and Rolos. I should not be allowed around it. 8. 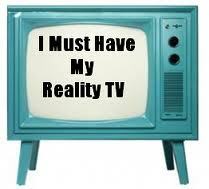 Reality TV.....I watch way too much of it. American Idol, Project Runway, America's Next Top Model, The Bachelor, Teen Mom, 16 and Pregnant, even The Real World. I'm pretty sure I'm technically too old for this but I love it anyway. 9. 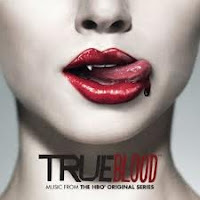 True Blood.....My favorite TV show!!!! It comes back on June 26th (not that I'm counting down or anything). 10. 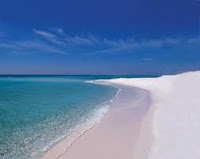 The beach.......I'm so fortunate to live near the beach. I'm so glad my summer has officially started, so I can spend a lot of time there. Now why don't you hop on over to Little Miss Kindergarten and tell us your favorite things. Wow, 104 followers!!!! 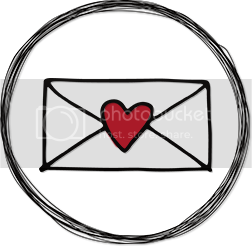 I'm just loving all my amazing followers! Thank you for all your kind comments. 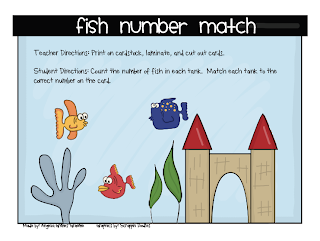 In honor of you guys, I'm posting some activities and games to help students learn to read all those pesky number words. This is another area that my students need a lot of practice. The more I teach the more I realize that there are so many words that hard to read for my students with learning disabilities. 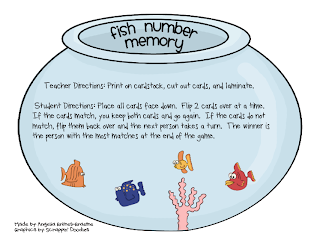 Number Word Memory (number words from 0 to 20) - Freebie! 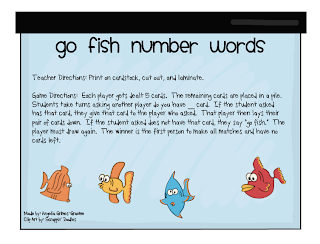 You might also like some of my other games to help reinforce reading number words. 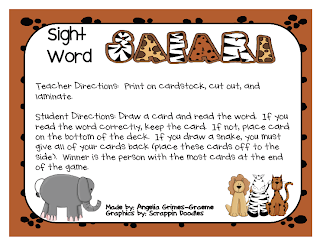 Thanks to one of my followers, I found out about Ana's Sight Word Linky Party. 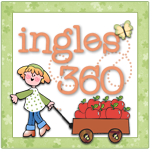 Check out her site (click her button below) to see how other bloggers teach sight words. 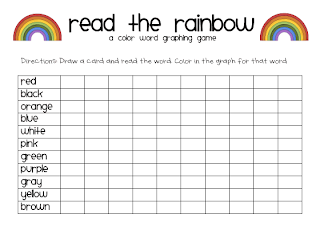 My students need A LOT of reinforcement with their sight words. Repetition (and lots of it) seems to be the key. My kiddos really respond to playing games, and they stay engaged (plus for me). 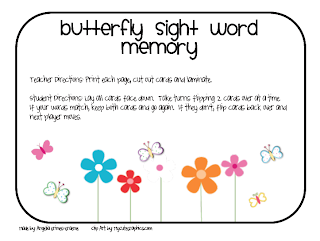 I try to play some kind of phonics or sight word game daily with them just to reinforce the skills. 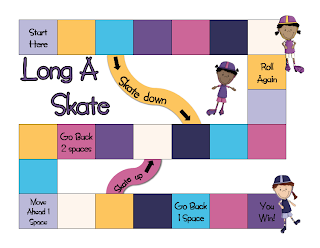 Here are some of the games that we play (click on the picture to take you to the blog post where you can download your own copy). 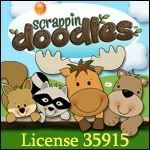 I'm also working on some number word games that I'm almost finished with and some more phonics games. Keep checking back for them! It's been soooooo crazy at my house lately.....sigh. I've wrapped up my school year, but I have a week long Applied Linguistics course that I'm taking now. My district requires new teachers to get ESOL endorsed and this is my FINAL class! YEAH!!! I will be officially done on Friday. Until Friday, it's a long week of classes ALL day long. My youngest daughter knows that I make games for my students. She likes to see what I make and look at the cute pictures on them. She spends a lot of time cutting out random pieces of paper and making "games" that I can take to school to use with my class. What in the world am I going to tell her next year when she comes to school with me and realizes I'm not using all of her games??? Lately, she's been begging me to make a game for her to play that has butterflies. 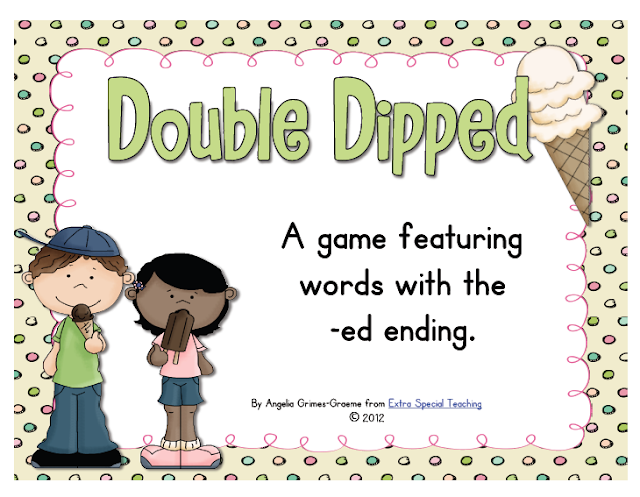 So I whipped up this quick Sight Word Memory Game for her last night. 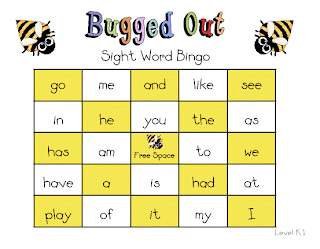 These are the first nine weeks sight words that Kindergarten teaches in my district. I figure that since the triplets will be starting Kindergarten in the fall I might as well start working with them this summer. I will probably add more words to this game later and repost, but this will keep my little princess happy for a day......maybe.